Zachary: "I love a good parade." 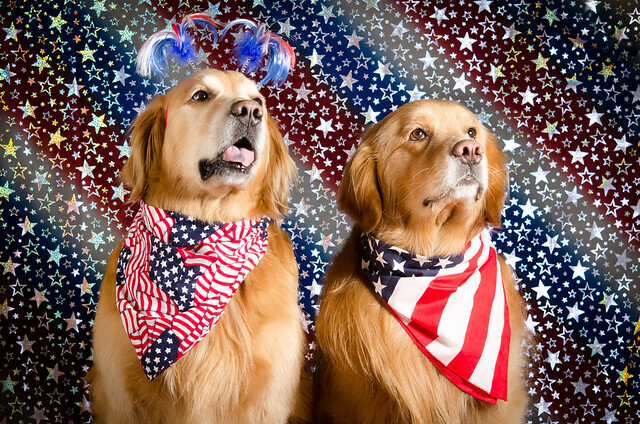 A pair of Patriotic Pups giving their all to show off their Independence Day spirit. Daily Dog Challenge 1708. "Celebration"
Our Daily Challenge - July 4, 2016 - "Industrial or Industrious"
Zachary: "Happy 4th of the July!" Henry: "I don't know you." 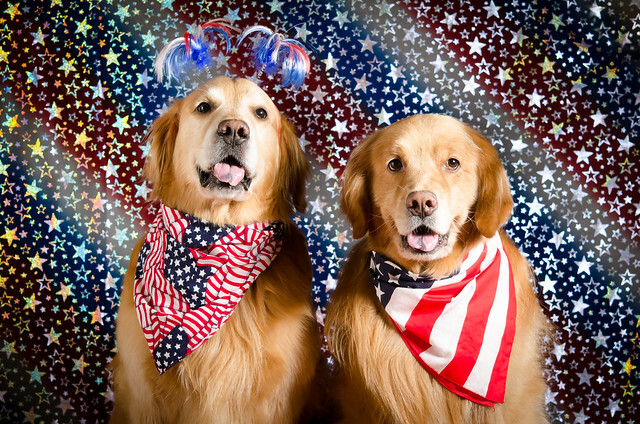 Zachary: "Oh say can you see..."
... and now they can retreat to the back bedroom, or loudly voice their disapproval, until the local idiots stop shooting off illegal fireworks. 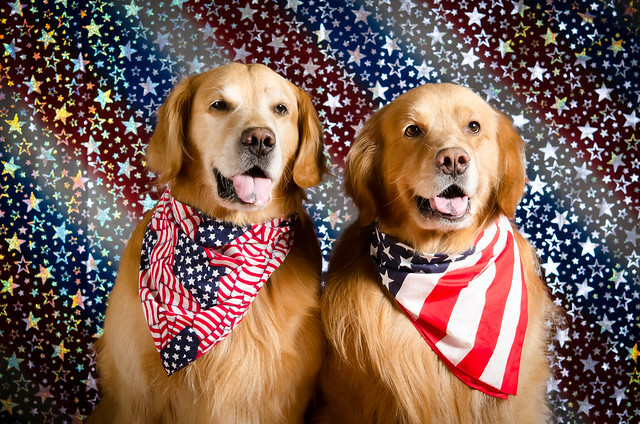 The boys look handsome in their patriotic photos. Bubble Bubble Toil and Trouble?